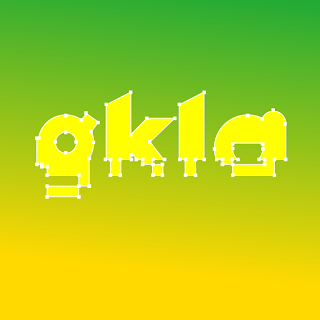 Welcome friend to yet another gkla mix. I am very excited about this one; it is easily the best yet and you’re going to like it. I tried to keep it summery this time – bright, hot, celebratory – and I mostly succeeded, though the ending does get a bit dark. This one came out a couple years ago on the mediocre Motown Remixed comp, though this track is anything but. Z-Trip did this deconstruction at the height of his powers. Ah yes, one from the masters of this summer’s concert tour circuit – this ends the 100 bpm section. Breakup pyschodrama and a perfect singalong for the car, “Bohemian Rhapsody” be damned. Doesn’t it piss you off when your favorite song an album turns out to be a cover? This is M.I.A.’s English adaptation of Bollywood disco classic “Jimmy Jimmy Jimmy Aaja” from the forthcoming Kala. What a song! This one came to my attention via Mr. Oizo’s “Patrick 122,” which I’ve used on other mixes. Flutes and xylophones reunited finally. May it never be said that I DJ without a sense of humor. So much cheek he must be British. I felt like I need to balance a song about girls with a song about boys. This is where the mix starts to sound like nighttime agiain. Ian Round detonates the original with a deceptively rich remix. They forsake all the elements of Justice’s überremix but the vocals, which proves my original thesis that the entire appeal of “We Are Your Friends”= is the push-and-pull of a swing-feel vocal against a straight rhythmic foundation. This remix has the odd characteristic of actually sounding like its remixers name. This is not a dance track; it’s a war zone. It also seems to cross the line from disco eruption to heavy metal track. I fail to resist the temptation to twiddle knobs as this one plays out. Click below for more Mixtapes and DJ mixes.